Second opinions are common in health care; whether a doctor is sorting out a difficult case or a patient is not sure what to do next. In the context of our magazine, the first opinion will always belong to the reader. This feature will allow fellow dentists to share their opinions on various topics, providing you with a "Second Opinion." Perhaps some of these dentists' observations will change your mind; while others will solidify your position. In the end, our goal is to create discussion and debate to enrich our profession. Everyone knows that America's economy is in trouble. How is this affecting dentistry? Many practices are experiencing more open time, a record number of broken appointments and less production as Americans tighten their purse strings. Some practices are closing their doors and there are dentists looking to work additional days in busier practices. People are losing jobs and insurance benefits as the country slips further into an economic tailspin. We might hear more complaints about dollars, but people still want and need dental care. It doesn't have to be all doom and gloom. There are ways for your practice to stay afloat and actually flourish during this economic downturn. As Americans spend less and try to save more, many practices are prospering. Their success is not due to "good luck." They are overcoming these obstacles because they are looking for missed opportunities and working smarter. I always find it interesting to see how practices can be located in a close proximity and vary so much in new-patient numbers, production and collections. Dentists have told me, "I'm going to move my office near Dr. Smith's $2 million practice." Actions like this are not the recipe for success. You must know that your success is dependent on what happens within your own four walls and less to do with outside factors. I am going to share specific measures to help you safeguard your practice in this economic slowdown. There is no silver bullet, but I know the practices that are flourishing are being proactive, applying themselves and implementing the following actions and protocols. Ignore Outside Influences: This includes television, newspaper, radio, the Internet, the dentist down the street and other hearsay. Know that your actions and your staff 's actions are what will determine your success or failure – nothing else. Know that you are in control of your destiny and it is imperative that you are proactive and believe in your ability to make your business successful. Develop Your Team: Start by evaluating each team member. Look at their individual performances, attendance, referrals to the practice, aptitude, attitude and abilities. Now more than ever, having a strong team that is working toward the practice goals is vital to your success. This is easier to attain than ever before due to the fact that more people are looking for opportunities in the job market. The economic downturn provides a better selection of applicant prospects. Once you have developed your team, allow them to be a part of the process of creating a practice vision and listing out realistic goals. Look for Barriers and Blind Spots: I'm referring to obstacles that you and your staff may be putting up for current and potential patients. Blind spots are responsible for the majority of broken appointments and instances of low production. Barriers keep your new patient numbers low. There are three systems that you should evaluate. They all have a major impact on your practice. 1) Initial Contact – I do a lot of mystery shopper calls at the request of clients. I'm amazed at the roadblocks that practices typically put up for the average person calling a dental office. It's no wonder so many new patients never arrive, the doctor has low new patient numbers and open time on the schedule. Approximately seven out of 10 calls made to practices are unsatisfactory. Their low score is due to (the reasons ligned at left). 2) Poor Recall System – Don't assume that you have this under control. Consider the number of existing patients in your practice, the number of new patients added each month and the fact that everyone needs to be seen at least twice a year. You can do the math on this one. Most practices are retaining about 50 percent of their patients. They are "hit and miss" with their recall protocols. Few practices have taken time to write up their recall system and train staff on the way it should be consistently handled. The recall system consists of pre-scheduling appointments with the hygienist, sending appointment cards to patients that are prescheduled, sending recall cards to patients that are due and are without an appointment, and finally, staying on top of the patients that are past due and have fallen in the cracks. 3) Poor Confirmation Protocols – I evaluate broken appointments from practices all over the country, most can be avoided with a system for confirmation. When an appointment is not properly confirmed, or not confirmed at all, chances are the patient will miss his or her appointment. When the confirmation system is under control, your days will be more productive and appointment changes or no-shows will become a rare occurrence. Before any calls are made to confirm, the scheduler must verify that financial arrangements are complete. When confirming, the scheduler should be aware of prior broken appointments, past-due balances and what the patient is coming in for. A message left on a machine is not a true confirmation. Confirm early in the day on the day before. Don't confirm too far in advance. Listen to the patient's tone of voice and what the patient is saying. Many times the patient will try to back out or seem surprised to learn they have an appointment. The person with the best verbal skills should do the confirming, so that he or she can handle patient objections if they arise. Overcome Financial Problems and "I can't afford it": More patients might be saying that they can't afford to get needed treatment. For many, once the patient says "I can't afford it," all communication stops. This becomes a barrier to getting patients to accept a treatment plan and get the help they need. You can be more successful in breaking through this barrier if you listen to the patient and acknowledge their financial concerns. When patients tell you that they don't have the money, say something like, "I do understand Mrs. Jones, but it will end up costing you more if you put it off and do nothing." Remind them of the priority of their permanent dental health over their temporary financial situation. Let them know what will happen if they don't get the needed treatment. Do this in a light-heartedly manner and their interest in their dental condition will eventually win out over a financial problem. You can ask them, "Don't you think we should do this before it gets worse and costs more? It will save money in the long run." When patients ask how much it will cost, break it down into small segments. Let them know that you can start with the most pressing part of the treatment plan. Most people can confront a smaller amount because it doesn't seem as costly to them. This holds true even when our economy is strong. Practices that break the treatment down into phases have a higher percentage of treatment plan acceptance and higher new patient numbers without marketing. As a last resort, you can tell them that you can do something temporary to "hold them over for a while." Let them know that the condition of their mouth is affecting their overall health and the cavities are getting larger. "There is no better time than right now for you to evaluate the systems in your practice and take a closer look at how you can improve service and efficiency." 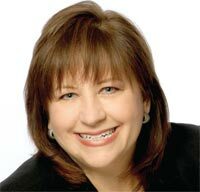 Improve Customer Service: Know that your patients have a choice about which dentist they see. This is why customer service is so important in a slow economy. What makes your practice different? Take a look at your practice through your patients' eyes so that you can attract and retain more patients in the future. What do they see when they drive up to your office? How are they treated when they walk into your reception room and speak to your receptionist? How are they received when they call your practice? Do they get a live person or a machine? The most successful practices provide stellar customer service. Patients are greeted by name when they arrive and a live person always answers the phone during regular business hours. The staff is friendly, patients can get right in, they make their patients feel comfortable and have very few upsets. Enhance Performance/Training: Practices that train existing staff in a slow economy will be better prepared and more efficient when the economy recovers. You can use this time to finish job descriptions and procedure manuals that are incomplete. Utilize staff meetings for role-playing and additional training. Skill training that equips employees with tools to perform better increases the quality of customer service, income and profitability, not overhead. Reactivate Patients Back Into Your Practice: Your schedule might be empty but most practices have hundreds, maybe even thousands of patients that haven't been in for years. Some of them have seen another dentist and regret it, or if they haven't seen another dentist, just embarrassed to come back since so much time has passed. A card is just the thing to motivate them to call your office. It's a huge mistake to deactivate patients too soon. This is a perfect time to find out who hasn't been coming in and communicate with them. I have found that a reactivation project can generate a lot of activity for a practice. In addition to getting back 10 to 18 percent of all patients due, you will be able to update addresses, find out who moved out of town, who is deceased, who changed dentists, etc. The complete project checklist is available to you as a courtesy at www.classicpractice.com. Don't procrastinate, get started today! If the economic downturn is affecting your patient flow or you want to recession-proof your practice, start today. There is no better time than right now for you to evaluate the systems in your practice and take a closer look at how you can improve service and efficiency. 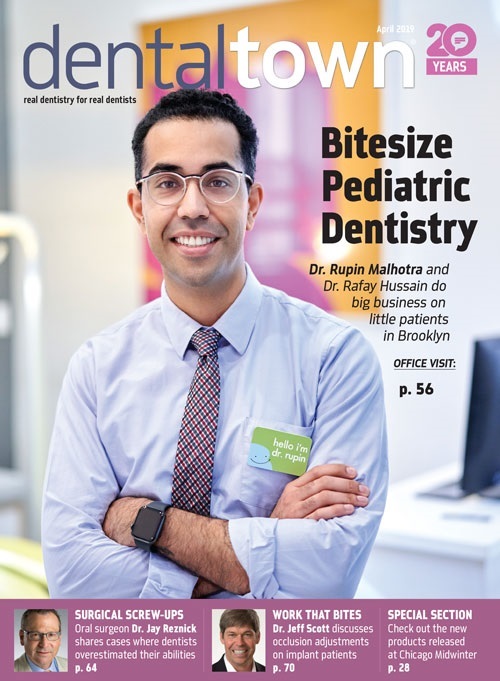 Share this article with your staff and discuss the ways your practice can improve customer service, deliver better dentistry, run smoother and promote services. The new economy will require practices to develop and train staff, get organized, focus on patient education, improve communication and deliver a better experience for the patients. I believe we will see more practices putting the hot towels and paraffin wax in the back closet and getting back to bread and butter dentistry.